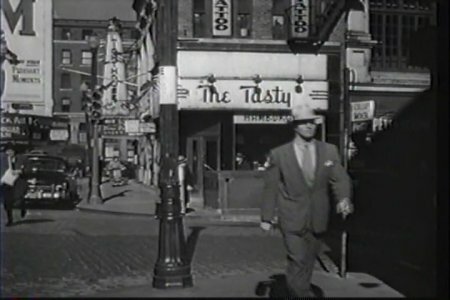 This page deals with Scollay Square's connection to the movies, either in an actual film, re-created on screen, or simply referred to by an actor. I've also started collecting the odd reference (however obtuse) on television and a recent radio find. As always, we welcome your suggestions at our email address. Two of the funniest and most talented radio broadcasters were Bob Eliot and Ray Goulding, whom we know as the team of Bob and Ray. 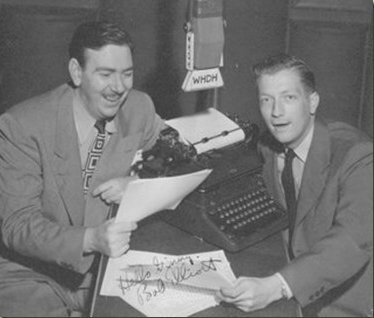 They began their career -which took them to television and movies - here in Boston on WHDH radio in 1946 with "Matinee with Bob and Ray." Listen here to a snippet of one broadcast that included a regular feature in which the duo would visit "the little theater off Scollay Square." Did you know? After the movie came out many people began calling the telephone The Ameche, after Don Ameche, the film's lead. Our page on Scollay Square today has pictures of the plaque which commemorates the June, 1875 event. Scollay Square did get its close-up, if only for a few frames of a really bad movie titled "Walk East on Beacon!" a 1952 film starring George Murphy, based on a Reader's Digest article written by FBI Chief J. Edgar Hoover (he got the credit, although it was probably ghost-written). A number of scenes were shot on location here in Boston. In one of the film's opening sequences the FBI is tracking a suspected communist spy who has just left the the Charlestown Navy Yard. In the all-too-brief sequence he walks up Hanover Street and into Scollay Square. See the screen shot below? There's the Tasty and just above it, Ted's Tattoo Parlor. Look down the block and there's the marquee to Jack's Lighthouse, just across from the edge of the PM sign. 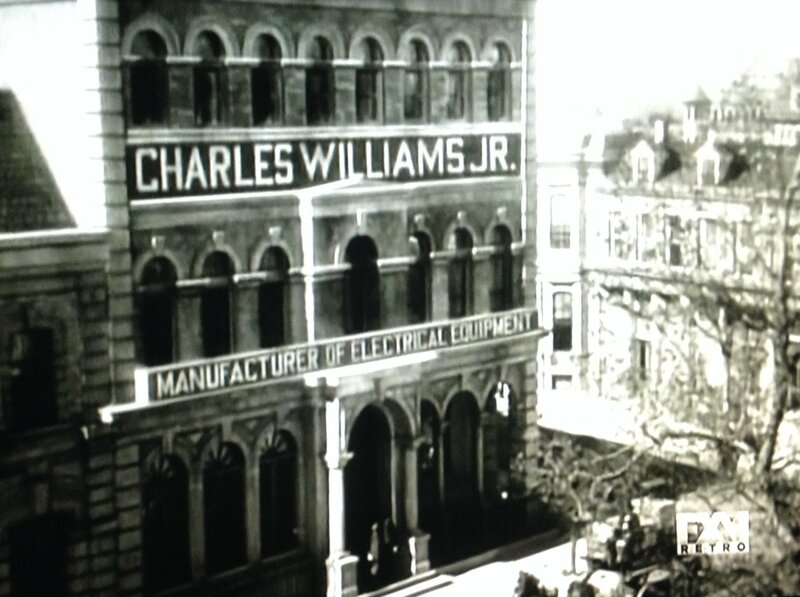 Click on the screen shot below to see the scene - Scollay Square in the movies! 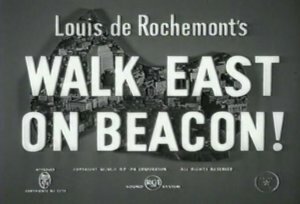 From "Walk East on Beacon!" Further proof of my theory that everything eventually connects to Scollay Square is Episode 18 of Season 5 of House. 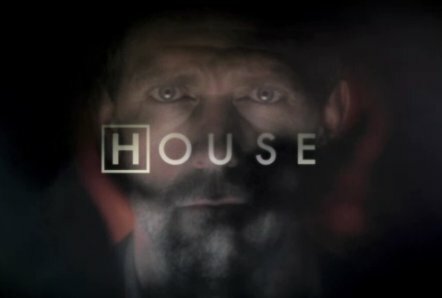 During the episode, titled "Here Kitty," House tries to dissuade a nurse from her belief in the ability of a cat to predict patients' deaths. He tells her the story of a minister who, in 1844, predicted the end of the world and then, when his prediction failed to come true, he gained even more followers. He was talking, of course, about William Miller who preached in the building that would become the Old Howard. 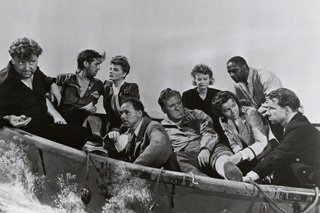 Alfred Hitchcock's movie, now considered a classic (but which bombed in 1944, in part because it was perceived as being "pro-Nazi") has a Scollay Square connection, and it comes after the survivors of a torpedoed ship have been adrift for quite some time, and the talk has turned to food. They start to argue/discuss the best place to eat and the character of Charles Rittenhouse (played by Henry Hull) says "THERE WAS PLACE IN BOSTON, YOUNG'S HOTEL. BEST RESTAURANT IN THE WORLD. YOUNG'S USE TO HAVE MENU, ONE HUNDRED AND FIFTY PAGES LONG..."
Young's really was one of Boston's finest hotels and although we cannot confirm that the menu was 150 pages long it did feature a world-renown restaurant. 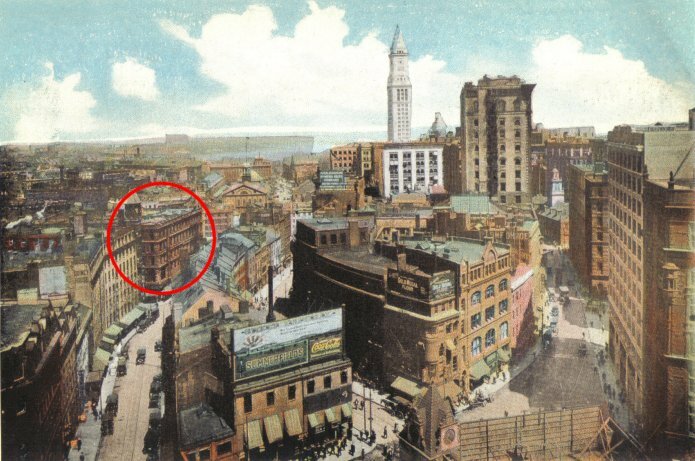 Young's Hotel on Brattle Street, at the corner of Brattle Square, is marked in this 1906 postcard. Local boy (and Hollywood legend-to-be) Pat Kenrick has written a script for a murder mystery that takes place in Scollay Square. Pat has filmed the trailer and, if all goes well, he will be competing for the chance to produce the entire script. Read more about the film and the contest here. 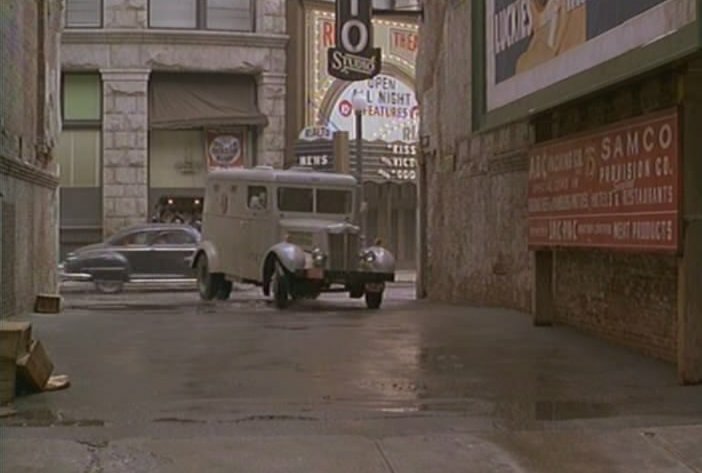 For this film, the Globe reported that director "William Friedkin used 65 different locations overall but spent a goodly amount of time rebuilding the old Scollay Square...in McKinley Square..."
Though the Square was never specifically named, the performers and hookers we see in the opening credits left no doubt as to what part of Boston Peter Falk and his gang were in. Above, we see the Pilgrim Theater in the erstwhile "Combat Zone" setting the tone nicely for the Scollay Square locale. 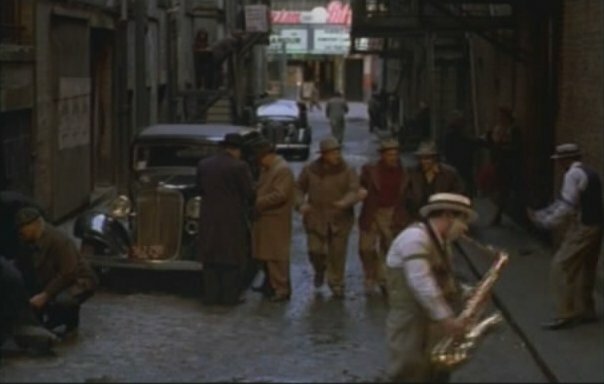 Later in the film, Falk and his crew are tailing a Brinks truck which pulls into an alley across from the Rialto Theater. 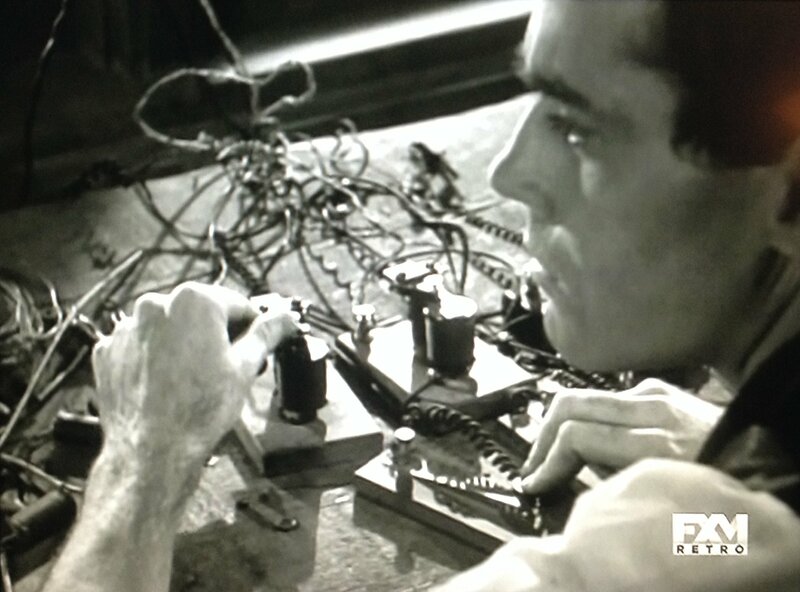 As we can see below, the detail that director William Freidkin's crew put into replicating the theater is exquisite. For the young film-editing apprentice Scott Smith... the work on The Brink's Job would convince him that this was what he wanted to do in his life. Then, on the morning of July 28, when he opened a door to find a gun in his face, Scott found what crime was really all about. The three gunmen, none wearing masks, seemed well prepared. They had brought in a collapsible suitcase and a briefcase filled with handcuffs. "This is what we're gonna do," said one of the men, with a big gut, a gold bracelet, and a big ring (almost, Scott thought later, too stereotypically Mafioso). "We want the scenes of Scollay Square, the open marketplace. We want to make sure that you're not giving us the wrong material so you're gonna have to show it to us. No funny stuff." The situation was surreal, but even more bizarre was an editor grabbing film, loading it into a flatbed editing machine, and running it for the gunmen. For fifteen to twenty minutes, the editors rolled the film with guns pointed at their backs. Another editor walked in while the robbery was going on; he was spun around and slammed against a wall, and a gun was shoved in his face. Meanwhile, another robber ripped phones from walls and smashed them on the floor. When the editor finished showing the Scollay Square scenes-which were the scenes with the most extras and thus the most expensive to shoot-the gunmen seemed satisfied. "Okay, is this all the material?" one gunman asked. Reassured that they had all, the gunmen loaded the thirteen reels into the collapsible, rolling suitcase. They then proceeded to handcuff the men together or to chairs. They pulled out gaffer's tape and taped everyone's mouth shut; all the editors except for Scott had beards, however, and the tape wasn't sticking. So they stuffed white gloves into their mouths. The robbers left with a parting comment, "We know who you guys are and where you live." The gunmen had missed a phone and the handcuffed editors were trying to figure out how to dial 911 by manipulating their manacled hands when Scott's father walked in and burst out laughing. "What the heck are you guys doing?" 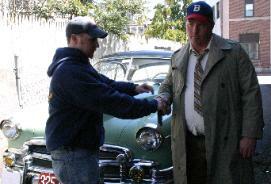 "Look, man, we've been robbed," one of the editors said, and suddenly Bud Smith wasn't laughing. In a few minutes the police arrived and started asking questions. The police couldn't remove the cuffs-they said they didn't know how. Coincidentally, Spanish Eddie showed up and, with a paper clip, managed to get one cuff off each person. He then disappeared. Boston's press had a pun-filled field day with stories on the Brink's "scene- stealers," who operated with as much precision as the original bandits. Filmmakers had to refute charges that it was a publicity stunt. Said one unnamed production assistant to the New York Times, "Sure and we thought it would be a real gag to beat up a few editors and throw this place into complete turmoil just as we're all ready to go home. You've got to be kidding." Scott remembers how angry his father was about the charge: "If this is a publicity stunt, I am going to raise a lot of hell." The robbers showed both daring and a distinct lack of filmmaking knowledge. The gunmen did get Scollay Square footage, but what they took were outtakes and dailies, positive prints of negatives that were being held by Technicolor in New York City. The material could be replaced with no significant delay. The robbers, however, made a ransom call, which triggered an investigation by the FBI. Walon Green recalls that Friedkin told the robbers to get a projector and enjoy the film; it was all theirs. Thank you Stephanie, and best of luck with the book. This film makes our web site because of what seems to be a bollixed-up attempt at making the script more authentic for New England. 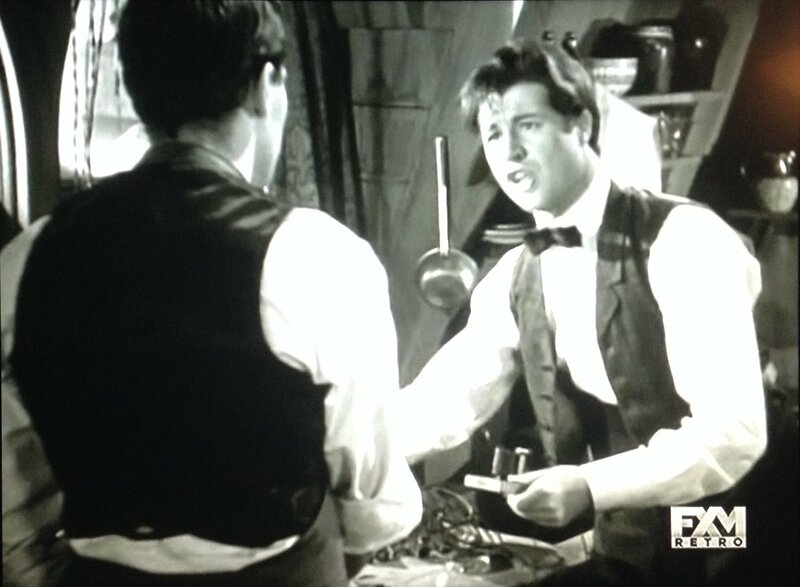 In one scene, George Clooney's character says "You boys look like you got busted in a brawl in Scollay Square." But the film is set in 1991 and we all know that Scollay Square hasn't existed, at least as a place for bar-brawling, since 1962!